Your wedding day is undeniably one of the most important days of your life. Everyone wants this day to be extra special so that they remember and cherish it in the years to come. If you have decided to tie the knot in Cape Town, then we have good news for you. We at Out of This Planet catering understand how important your big day is for you and can help you in making it a memorable one with our exclusive wedding catering services in Cape Town. Managing the organization of a wedding can be a stressful affair, especially if you do not have experience in the same. And the last thing you would want to have on your wedding day is stress. Hire our wedding catering services and take the stress out of the scene. From the moment you decide to celebrate your grand day with us, we leave no stone unturned in making your wedding day, the most memorable day in your life. 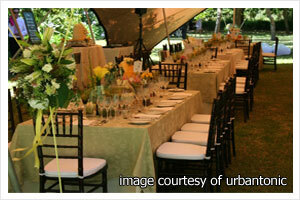 Wedding catering Cape Town has extensive experience of catering for all types of weddings – big and small. We sculpt your dream, take your ideas, tastes and budget and provide you with a truly tailored wedding catering service in Cape Town. We provide several menu options, so that everything is customized as per your needs. We take the hassle out of organizing this often complex task and allow you to entrust us to weave kitchen magic – leaving you with peace of mind so that you can savor your sacred moment…. after all, every couple should have their dreams come true!You can sit back and relax as our dynamic team of caterers prepares a delectable spread. Wedding catering Cape Town takes into accounts your taste and budget. Depending on the cuisine which you choose our experts will present the palatable dishes immaculately. We will arrange a buffet which will accommodate your guest’s varying taste buds. As you take your vows the special moment requires special care and attention. To ensure that you wedding day is a success contact us. Our special team will create the right experience which your guests will always cherish.